Tortora Cycling Shorts are another seasonal 2011 offering from Nalini. These shorts are made with fabric that quickly absorbs perspiration, carrying it to the fabric’s outer surface and dispersing it for rapid evaporation. In short, it wicks well. The fabric provides UV protection of 50+. The shorts feature a UCN Lady professional road chamois made from stretchable microfiber and Nalini fabric which is also a microfiber similar to natural chamois leather with a supple surface, soft to the touch which deters skin inflammation because of it’s ability to breathe. It is resistant to tears and abrasions and stress in the wash at temperatures up to 86 degrees. 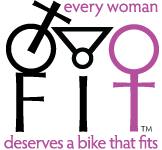 The fit is good for women, like myself, with a short torso, and is true to size. The fabric is lightweight and comfortable without too much compression. The waistband is roughly 1.25 inches wide but the cut of the shorts rides lower than some other brands, so it doesn’t cinch you in the waist. 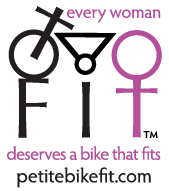 The fabric grips your thighs well and the inseam is roughly 7″ which, (in my humble opinion) is great length for petite women. The heavy duty reflective logo on the sides of the legs will crack and peel over time– especially if subject to the clothes dryer. The legs have small silicon grippers on roughly 1 inch elastic. The contrasting color, four needle seam construction is solid, and the shorts are comfortable for longer rides. Check out Albabici’s website for a list of local and online retailers.